I read this article and found it very interesting, thought it might be something for you. 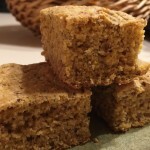 The article is called Whole-Grain Golden Cornbread and is located at http://www.gardendish.com/whole-grain-golden-cornbread/. This Whole-Grain Golden Cornbread is delightfully soft, fluffy, and filled with old-fashioned cornbread flavor. When asked to describe it, our tasters said “yummy”, “wholesome”, and “hearty”. That’s impressive for a bread that you can put together and be ready to eat in about 30 minutes. If you’re a baker, the ingredients for this recipe are probably already in your pantry and refrigerator. 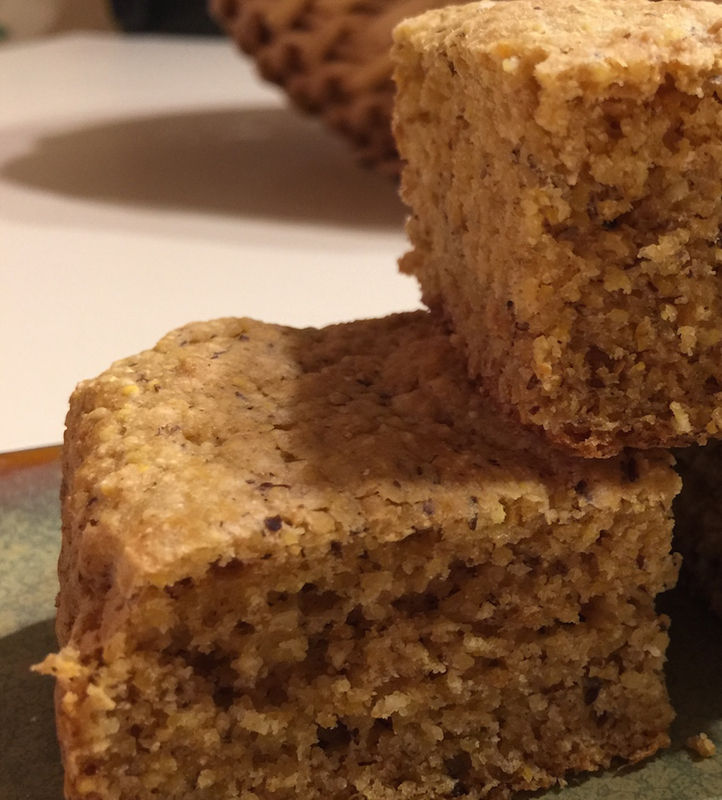 We’ve discussed whole wheat pastry flour and cornmeal in our post Sweet Potato Cornbread. The same recommendations apply here. 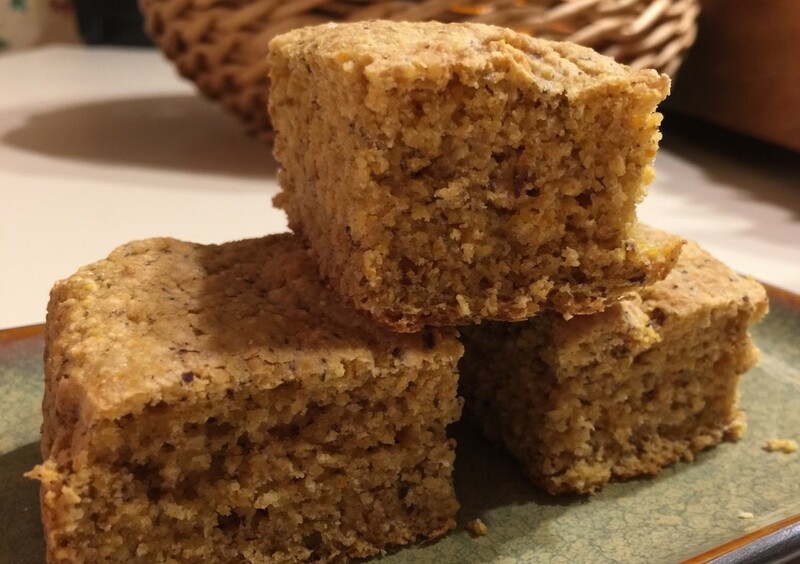 At the Garden Dish offices, we keep both whole wheat pastry flour and cornmeal in our pantry for those times when someone is craving cornbread. Hey, it happens. We think you’ll understand why once you’ve tried this delicious loaf. Preheat the oven to 425 °F. Line an 8"x8" baking pan with parchment paper. 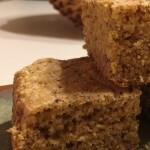 Follow the recipe to make Flax Eggs (remember you're making two Flax Eggs, not one). Stir together the soy milk and lemon juice, and set aside for 5 minutes to thicken. In a mixing bowl, whisk together the flour, corn meal, baking powder, baking soda, and sugar until well combined. Add the flax eggs, soy milk mixture, and applesauce, and gently whisk together just until combined and the clumps of flour disappear. Spread the batter evenly into the prepared baking pan. Bake for 20-25 minutes, until a sharp knife inserted into the center comes out clean. Cool for a few minutes on a cooling rack before serving. Nutrition (per serving): 128 calories, 78% calories from carbohydrates, 10% calories from protein, 12% calories from fat, 4.9 g fiber.